From the beginning of October this year, Cathay Pacific Airways has announced that they are boosting capacity on the Sydney-Hong Kong route by moving a second of their four daily flights from an Airbus A330 aircraft to the larger Boeing 777-300ER. This increase will add an extra 8% capacity to the route, lifting growth on the airline’s Sydney-Hong Kong service to 18% for 2015, giving travellers greater choice. This increase in capacity should make planning the journey easier for travellers, as they will have greater flexibility in choosing a flight departure time to suit their itinerary requirements. This should help avoid hours of waiting time at airports when making connecting flights. Taking some of the stresses away from travelling will mean a more pleasant experience, which is something all travellers desire, no matter whether they are business or leisure travellers. Cathay Pacific will fly the B777 on the daily CX100 flight that currently departs Sydney at 1540 and arrives into Hong Kong at 2200; CX101 then departs Hong Kong at 2355 and arrives into Sydney at 1205 the next day. This follows the daily service of the first 777-300ER earlier this year on CX138/139 that arrives and departs Hong Kong in the morning. Nelson Chin, Cathay Pacific’s General Manager Southwest Pacific said “The two 777-300ER flights cater to the increasing demand from our passengers wanting the best morning or night connections to our large network, which includes our newest destinations Manchester, Zurich, Boston, and Dusseldorf. It also serves those who simply wish to make the most of a whole day’s work in Hong Kong. Aside from adding 1,253 seats per week or 65,156 seats per year with more Business, Premium Economy and Economy Class seats, the 777-300ER also provides better payload which will help facilitate cargo uplift,” he added. 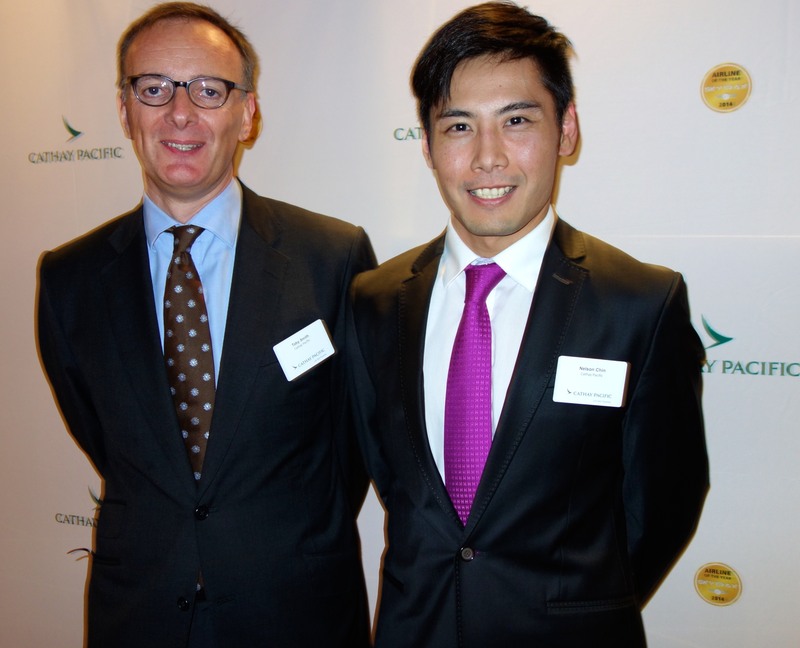 Hong Kong based Cathay Pacific is one of the world’s leading airlines and currently operates 74 passenger flights a week between Hong Kong and Australia, with over 22 years of continuous services to Sydney, Melbourne, Brisbane, Cairns, Adelaide, and Perth. All flights provide excellent connections over the Hong Kong hub to the airlines worldwide network, including an extensive number of cities in China, served by Cathay Pacific’s sister airline Dragonair. Award winning levels of service are offered in Business, Premium Economy and Economy on all Australian flights. Cathay Pacific is also a founding member of the oneworld global alliance, whose combined network serves almost 700 destinations worldwide. The airline celebrated 40 years of continuous non-stop service to Sydney last year, and will mark 45 years of service to Perth this year. 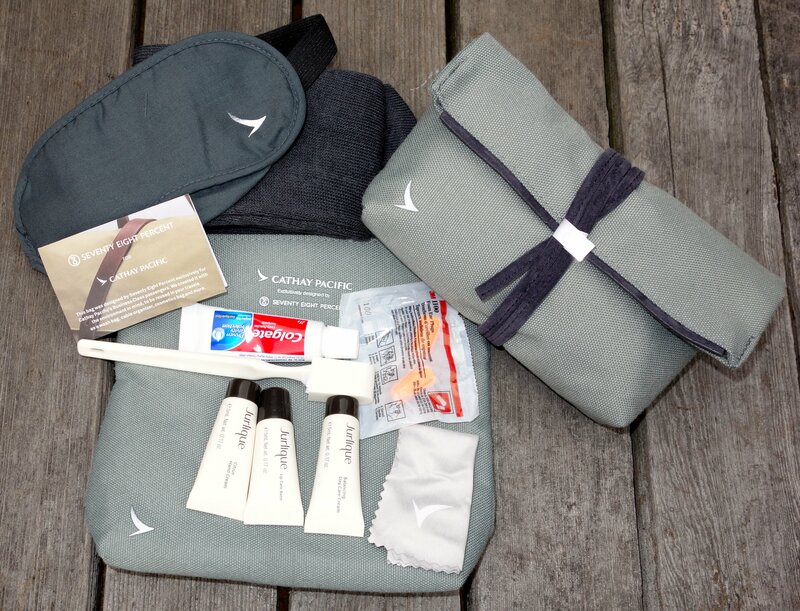 Cathay Pacific has also introduced a stylish new amenities kit for Business class passengers. The green rolled pouch bag containing Jurlique moisturising products, ear plugs, toothpaste, toothbrush, eye mask, socks and a cleaning cloth for glasses provides everything one needs while flying. 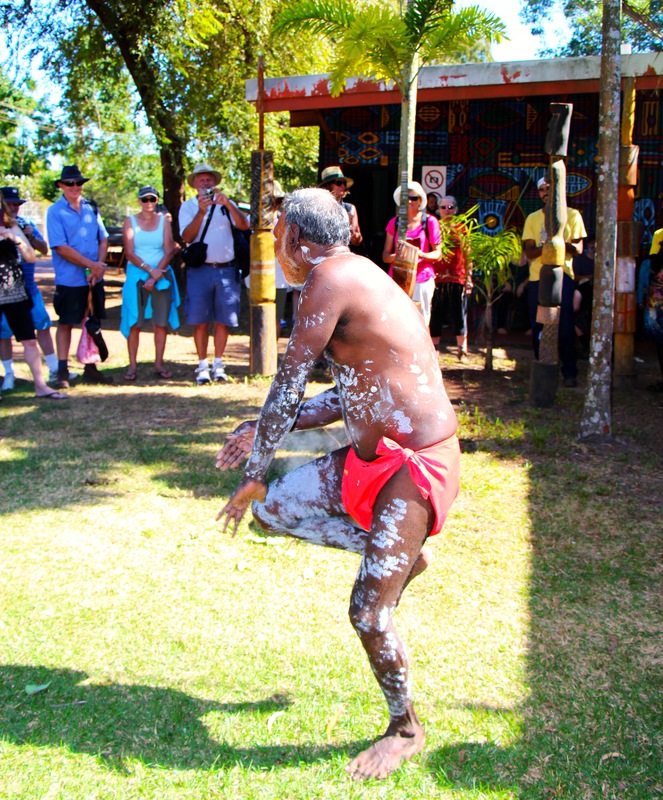 A new experience, revealing Tiwi Island life, awaits visitors to the Top End of Australia with new tours now available. Located 40 nautical miles across the Arafura Sea north of Darwin, the Tiwi Islands are made up of Bathurst and Melville Islands plus five smaller islands totalling 800,000 hectares which includes a coastline of 1016 kilometres under freehold title by 2000 landowners. These new tours are giving visitors the chance to immerse themselves in “the island of smiles”, famous for its traditional lifestyle, art and love of Australian football. Visitors can stay in a coastal wilderness lodge, enjoy a traditional smoking ceremony, Tiwi Art, join a sunset turtle discovery tour and take a scenic flight to Melville Island to the remote Milikapiti township. The three day Ultimate Tiwi Island tour is limited to just twelve guests per tour and is based at the remote Bathurst Island Lodge, which has recently undergone a $2m investment. An optional add-on is also available extending the tour by a day, taking in the wilderness of Melville Island and a remote adventure along the Goose Creek river system. The tours are being launched in a partnership with Northern Territory Tourism nationally and internationally and will be offered through Australia’s tourism trade to assist market penetration and distribution. The Ultimate Tiwi Islands tour includes SeaLink ferry or flights from Darwin, an art workshop with local artists, walking tour, accommodation, meals and non-alcoholic drinks, a wilderness adventure cruise, fishing options, turtle tour, a scenic flight to Melville Island and museum and art centre tours and is priced from $2,425 per person. The tours will run for an exclusive and limited season from 24 June to 11 September 2015. Operated by SeaLink, in partnership with the traditional owners of the Tiwi Islands, through Tiwi Island Adventures, these tours offer a truly unforgettable experience. SeaLink is committed to growing new tourism markets in the Northern Territory and this new tour will benefit the Tiwi Island people through a unique business agreement. 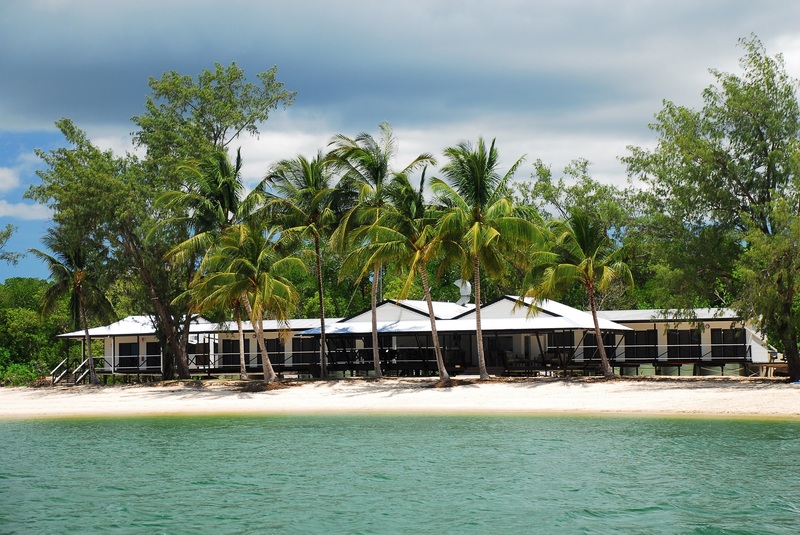 SeaLink NT General Manager, Paul Victory said “Until now, Bathurst Island Lodge had only opened its doors to fishing enthusiasts. These tours provide a glimpse into life on the Tiwi Islands and provide a rare opportunity to experience Island life in the Northern Territory”. SeaLink has established a Tourism and Transport Committee on the Island to help build the Tiwi Island’s tourism potential and is working with the Northern Territory Government to develop a floating pontoon system and tourism arrival precinct into the Tiwi Islands. “SeaLink is a natural tourism partner for the Tiwi Islands after recently signing a new ferry service Agreement with the Northern Territory Government to operate three return ferry services to the Tiwi Islands per week aboard our Tiwi Mantawi (Tiwi friend) vessel”, Mr Victory said. For those with limited time, a day trip out of Darwin to the Tiwi Designs Centre is also available each Thursday and Friday and will operate from 1 April to 11 December. A special exhibition from the Jewish Museum of Vienna, “Andy Warhol’s Jewish Geniuses”, is currently on display at The Jewish Museum of Australia – Gandel Centre of Judaica in Melbourne at 26 Alma Road, St. Kilda. 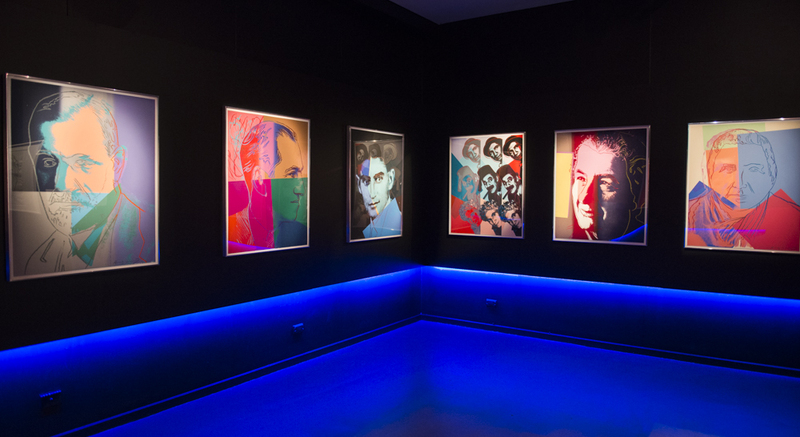 Featured in the exhibition are ten screen printed portraits of famous Jewish personalities of the 20th century and it is the first time that this body of work is being exhibited in Australia. From a list of almost 100 names, Warhol chose ten personalities, who reveal the depth and breadth of Jewish contribution to 20th century cultural life. The exhibition explores Warhol’s creation of the celebrity image and his selection process behind his Jewish geniuses. Curated by the Jewish Museum of Vienna, the exhibition features portraits of psychologist Sigmund Freud, Vienna’s most famous Jewish personality, Viennese-born philosopher Martin Buber, writer Franz Kafka, physicist Albert Einstein, composer George Gershwin, The Marx Brothers actors, writer Gertrude Stein, judge Louis Brandeis, actress Sarah Bernhardt and Golda Meir, first female Prime Minister of Israel. Original works have been borrowed from international lenders from New York, Israel and Vienna and thanks to the National Gallery of Victoria and other private lenders, the Jewish Museum of Australia has been able to include some of Warhol’s rarely before seen artworks, which gives an Australian flavour to the exhibition. On display until 26 May 2015, “Andy Warhol’s Jewish Geniuses” also includes photographs of Andy Warhol, a copy of the list of 100 names, as well as a short documentary film. www.jewishmuseum.com.au. In conjunction with the exhibition, the Jewish Museum of Australia in co-operation with The Shalom Institute in Sydney is hosting a special educational Study Tour of Jewish Vienna from 1 to 9 June 2015. Led by Dr Paul Forgasz, Director of Jewish Studies at the Monash University in Melbourne, the program highlights the contribution of the Jewish community to Vienna’s past and present. This tour coincides with the 150th anniversary of the Ringstrasse Boulevard, the world’s most beautiful boulevard around Vienna’s city centre featuring imperial palaces, museums, public buildings and splendid private residences. Few European cities have a history as closely connected with Jewish history as Vienna. Participants of this study tour will experience the dark days of Jewish Vienna as well as the revival of the small but vibrant Jewish community. During the past three decades, the city has stepped up efforts to face up to the history of Jews in Vienna, including both positive and negative aspects, and to re-examine Vienna’s Jewish heritage. In addition to the Jewish institutions that have sprung up over the last few years, with the support of the City of Vienna, a number of museums and memorials evoke the city’s Jewish heritage, including the Jewish Museum of the City of Vienna, the Judenplatz Museum, the Sigmund Freud Museum, the Arnold Schoenberg Center, the Memorial against War and Fascism on Albertinaplatz and the Shoah Memorial on Judenplatz. www.fbitravel.com.au/group. Those who love a luxury getaway not too far from Sydney, will be pleased to learn that Pretty Beach House, the four pavilion hideaway on the Central Coast, has now been restored to all its beauty and is reopening in March. 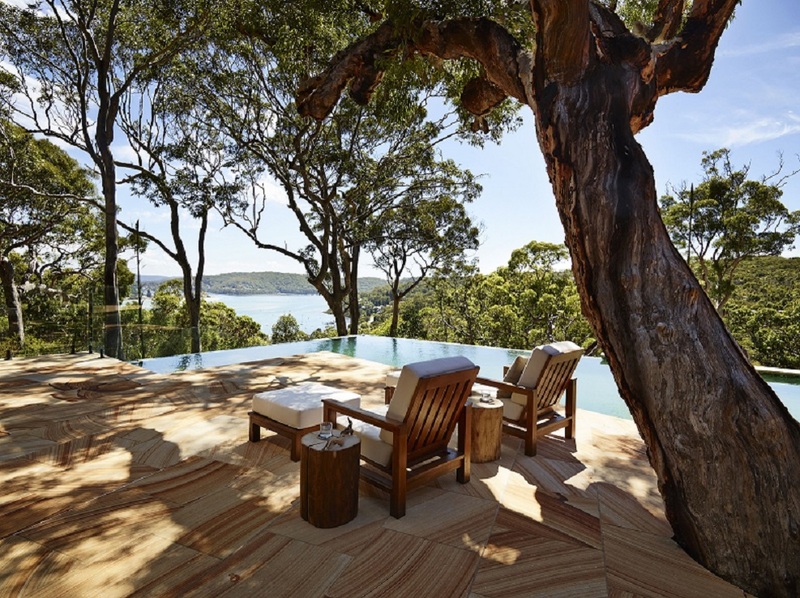 Perched on a seven and a half acre promontory of the Bouddi National Park and Broken Bay, this pinnacle of Australian luxury accommodation and hospitality is just 90 minutes by car from Sydney or a scenic 20 minute seaplane flight. The restoration achieves the right balance between relaxed and impeccable. Original works by Arthur Boyd, Sidney Nolan and John Olsen add to the personal touch of The Main House and exclusive pavilions, Treetops, Bayview, Hideaway & The Retreat. The Main House remains the soul of the property. Decommissioned railway timber pylons, handcrafted from 1883, form the structure of the new interior. Skilled local designers, blacksmiths and craftsman completed the detailed re-build and locally sourced mud bricks and artisan cut sandstone surround the foundations. Each pavilion has its own individual design with timeless décor, private deck, dive pool and daybed orientated to take advantage of the surrounding views, as well as luxurious king bedroom suite, draped in fine Italian Busatti linen, deluxe bathroom suite, fully stocked bar and vinyl record collection, ipod playlists and video library. Brian and Karina Barry, proprietors of Bells at Killcare Boutique Hotel, Restaurant & Spa, alongside distinguished restauranteurs, Stefano Manfredi and Julie Manfredi Hughes, offer an all inclusive luxurious escape. Pretty Beach House combines world renowned cuisine and tailored guest experiences, including a “welcome to country” indigenous smoking ceremony by the Darkinjung elder, mountain bike riding, helicopter day trips into wine country and discovering the glorious waterways on board the property’s luxury sports cruiser. The atrium style bar and lounge area houses Manfredi’s open plan Ambach Italian kitchen, where guests can view the stunning waterways surrounding the Bouddi peninsula, while dining on his world class Italian cuisine. All inclusive food and beverages are customised daily, allowing guests the option of dining al fresco, eating traditional Italian pizza cooked in the Stefano Ferrara pizza oven or drinking fine wines by the open fireplace. Daily wine tasting with the sommelier is available, as a tour of Brian Barry’s extensive wine cellar to select rare old world wines. “Pretty Beach House is the essence of luxury without the pretence. Guests will receive effortless hospitality surround by Australian beauty that remains relaxed and elegant” said Brian Barry. The property has a beautiful purpose built day spa for in-house guests, complete with couples massage tables and pure Australian skincare by LITYA. 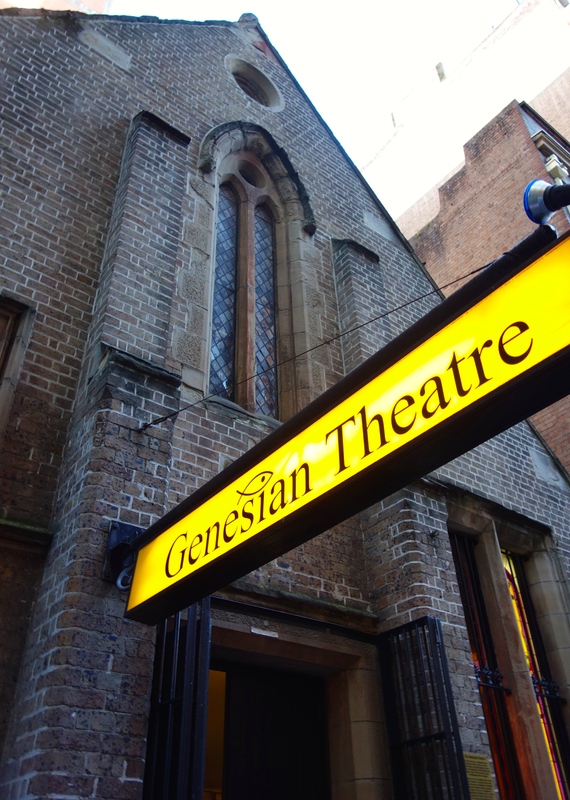 William Shakespeare’s popular “A Midsummer Night’s Dream” is currently playing at the Genesian Theatre in Kent Street, Sydney. Director Debbie Smith has set the production on the beach, during the 1960s. Actors wearing retro surf gear, with hairstyles to match from the era set the theme, along with the musical soundtrack straight from the Top 40 charts of the mid 60s. The immortal characters Oberon, Titania, Lysander, Puck and Bottom come to life in this modern adaptation. The large cast kept us entertained, speaking Shakespeare’s centuries old dialogue, whilst acting out all the ensuing mayhem on their beach setting. “The course of true love never did run smooth” plays out for the audience with great comedic flair, from start to finish. This delightful story is as relevant today as it was when written hundreds of years ago. Playing until 28 March with performances on Friday and Saturday at 8 p.m. and a Sunday matinee at 4.30 p.m.
Cunard, the iconic shipping line, has a long-standing association with Australian wartime campaigns, including World War 1 and Gallipoli. During World War 2 many Australian troops (including my father) were transported from Australia on their luxury liner, Queen Mary. In the lead up to the Gallipoli centenary, Australians recently paid their respects to the nation’s fallen Anzacs at a special memorial service held in Sydney on board Queen Elizabeth, berthed at the Overseas Passenger Terminal, six weeks into her 112 night world voyage. Leading political, military and community figures attended the special morning service that featured a tribute to the first Anzacs by Australian War Memorial Director, Dr Brendan Nelson. Among the guests at the service was Braidwood resident Mark Keys, the great grandson of 2nd Lieutenant Francis Jensen who was killed on his third day of battle at Gallipoli. 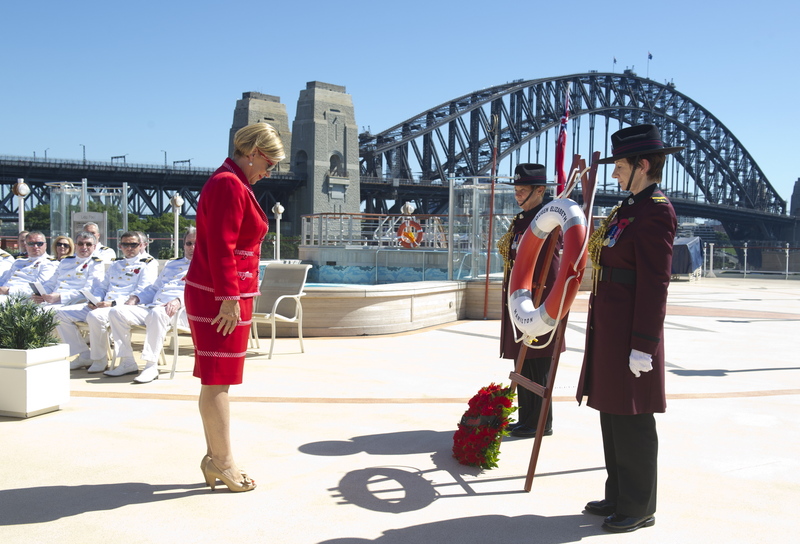 Representing Cunard, Carnival Australia CEO Ann Sherry said the line was honoured to pay tribute to the Anzacs during Queen Elizabeth’s visit. “Cunard’s proud 175 year maritime legacy is interwoven with our military history. Since the Crimean war in 1853, Cunard ships have assisted Allied forces in times of warfare, including during the First World War when 20 Cunard ships were lost. Two Cunard ships, Mauretania and Aquitania, moved troops to the Mediterranean at the time of the Gallipoli expedition, with Aquitania then converted to a hospital ship, carrying 25,000 injured Allied troops back to the UK until early 1916. Cunard’s relationship with Australian forces continued during the Second World War when thousands of our troops sailed to war from Sydney on the original Queen Mary and Queen Elizabeth. It’s a strong connection, so we are extremely proud the new Queen Elizabeth can play a part in remembering the service and sacrifice of the original Anzacs. Their nation building contribution continues to resonate down the generations because the families of those who served have never forgotten.” Ms Sherry said. 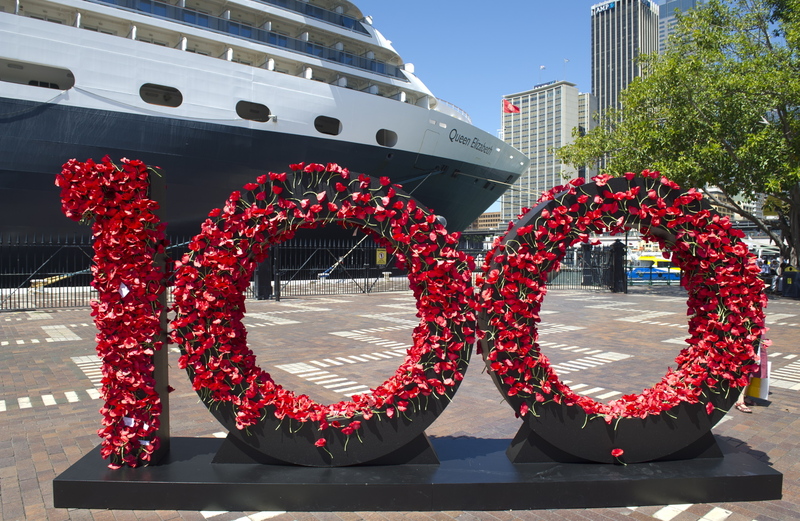 Cunard invited locals to pay tribute to their Anzac heroes by placing a poppy in a wall of remembrance beside Queen Elizabeth. Visitors to the two-metre poppy wall, formed in the shape of “100” to mark the upcoming centenary, were invited to honour their war heroes by writing a personal message in a remembrance book. Both the poppy wall and remembrance book will form the centrepiece of a commemorative service to be held on board the ship on April 24, the eve of Anzac Day, when Queen Elizabeth reaches the waters off the Gallipoli Peninsula during her current world voyage. Messages from the book will be read out at the service and the book will then be placed in Queen Elizabeth’s library, where it will remain in memory of the heroes of Gallipoli. New Zealanders commenced the poppy tribute, placing flowers in the wall during Queen Elizabeth’s visit to Auckland. 11,500 flowers will fill the wall, signifying the number of Anzacs who lost their lives in the ill-fated campaign. Monies raised through the poppy wall during Queen Elizabeth’s Sydney visit will be donated to Legacy to support their work with military families. Mr Keys and his wife Germaine will travel as the custodians of the Australian poppies to Turkey, where Mr Keys will become the first family member to visit his ancestor’s memorial site at Lone Pine. Queen Elizabeth will overnight in Istanbul on 24 and 25 April, before returning to the UK, arriving in Southampton on 3 May 2015. 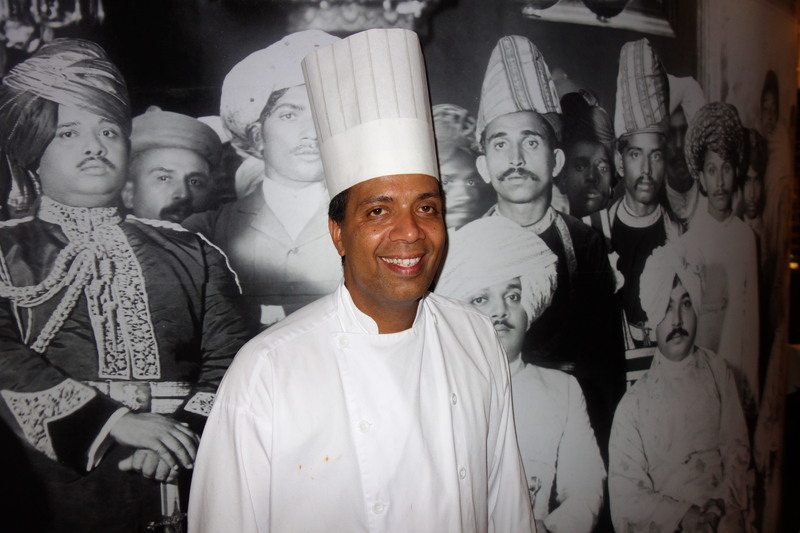 After eleven successful years of serving delicious South Indian cuisine in Darlinghurst, Chef/Owner Mohammed Sali has moved his Malabar Cuisine Restaurant several doors along Victoria Street. 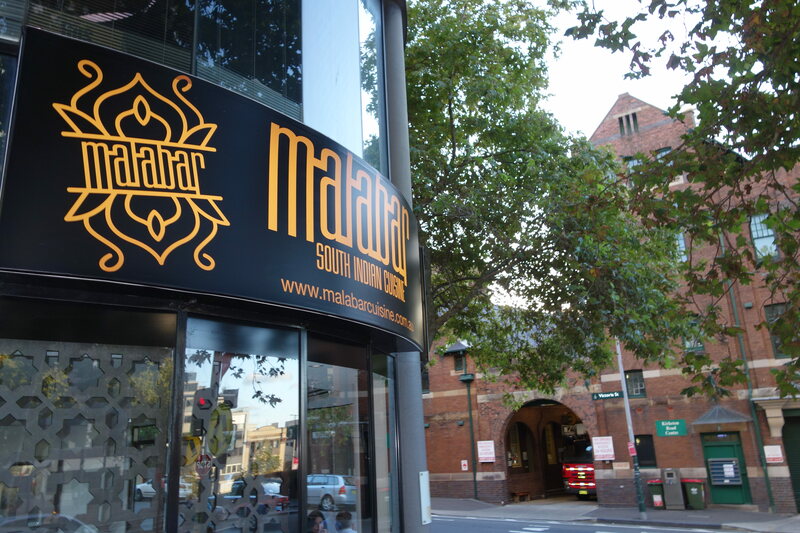 Featuring some of the best curries in Sydney, Malabar Cuisine Restaurant is now located on the corner of Victoria & Craigend Streets, Darlinghurst, just opposite the Fire Station. Malabar’s larger and more elegant new premises have been professionally renovated, giving a feeling of spaciousness. Natural light fills the restaurant from the glass frontage, allowing diners a view of the ever changing passing parade. 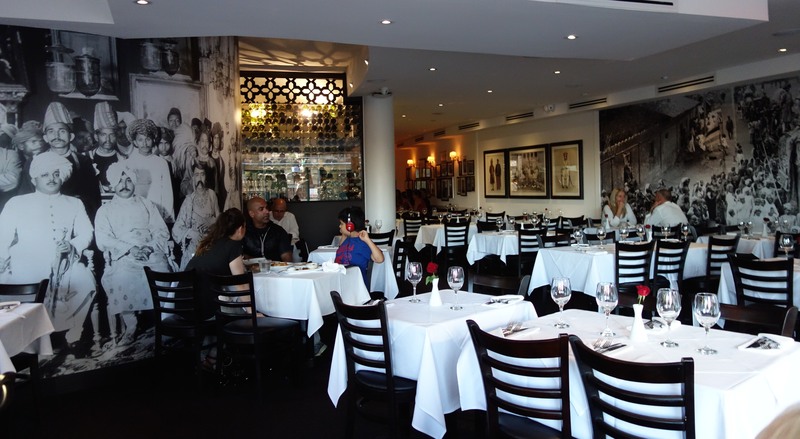 The white linen clad tables are spaced a comfortable distance apart, so diners can enjoy their conversation without disturbing people at adjacent tables. Diners’ comfort is also enhanced due to the low level of noise in the restaurant, as the floor has carpet instead of the current trend for bare floorboards. Adding to the atmosphere are large black and white murals, showing scenes of Indian life from early last century. The evening we dined at Malabar, we decided to start by sharing a selection of Dosai which included the Kheema of lamb mince with fenugreek, ginger and cinnamon, the Bangalore made of potatoes sprinkled with chilli, sesame seeds and coconut flakes plus the Prawn consisting of spicy king prawns with green tomatoes and chunky capsicum in a tangy dry masala. Hard to choose a favourite, but I think the Kheema Dosai did it for me, with the Prawn coming a close second. The Duck Moilee, served on the bone and simmered in coconut milk with chilli, coriander and fennel was a taste sensation as was the Chicken Chettinad with onions, star anise, peppercorns and curry leaves. For variety we tried Dal Makhani, one of the vegetarian options, consisting of slow cooked lentils in a garam masala bouquet garni. Absolutely delicious. The crispy pappadams and the garlic naan were sensational. Naturally we could not leave without trying a selection of desserts. The Kesar Pista Kulfi, an Indian ice cream of pistachio nuts flavoured with cardamom and saffron was a real winner. The Mango Kulfi, another Indian ice cream made with mango was also not to be missed, but the meal would not have been complete without the Gulab Jamun, cardamom flavoured milk based dumplings in a saffron flavoured syrup, in a word spectacular. You are currently browsing the SANDRATBLOG.COM blog archives for March, 2015.